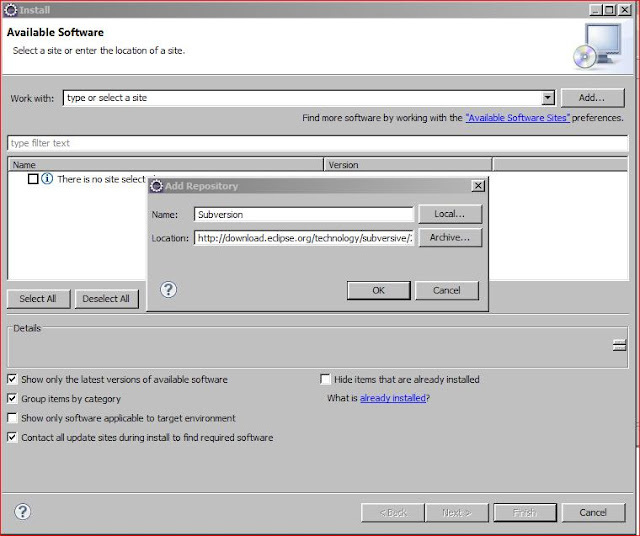 In this tutorial we will see how to install SVN plugin in eclipse. Prerequisite : You should have internet connection. 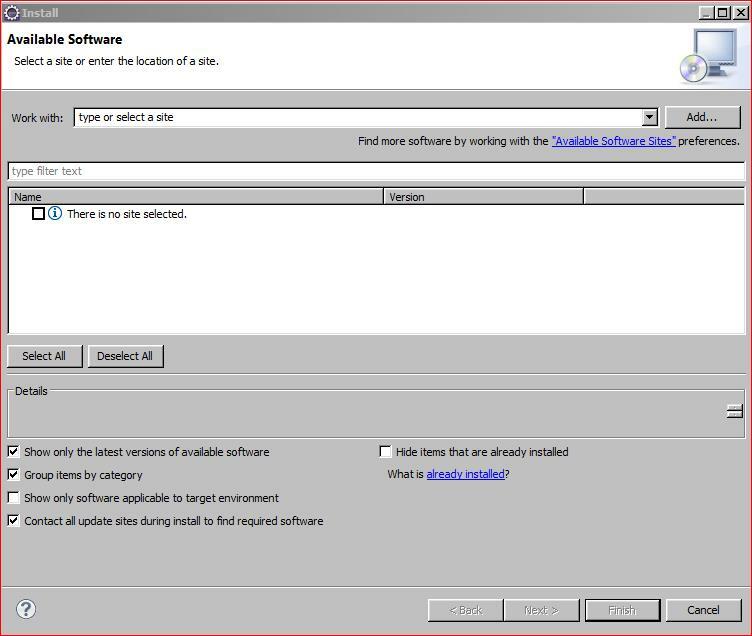 2) Go to Help menu option -->install new software and click on install new software. 3) Click add button in front of work with drop down. Note : Visit https://eclipse.org/subversive/downloads.php for latest subversive release. 5) Wait for some time it will search for plugins.Select required plugin(s),click next,next and finish and it will install required plugins. 6) It will ask for restart.Restart Eclipse. 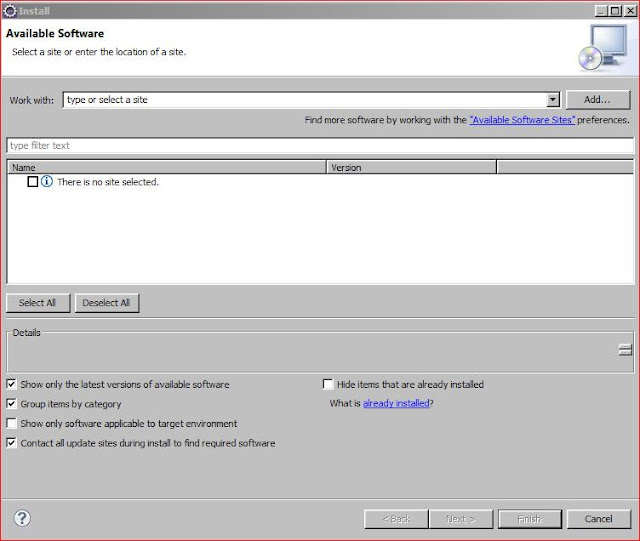 7) Once you have installed subversive plugin and you restart eclipse,subversive will automatically show the dialog that shows Subversive SVN Connectors compatible with the installed version of the plug-in.I selected Native JavaHL 1.8.15 and installed it. 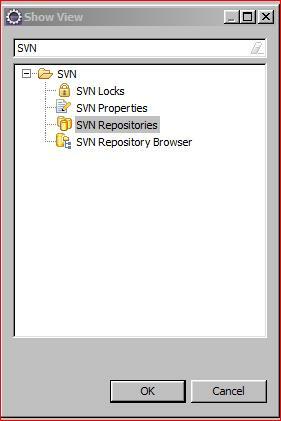 9) You can create a new repository location in the above mentioned tab by right clicking and then selecting New->Repository Location.. and then by entering required SVN URL along with username/password. 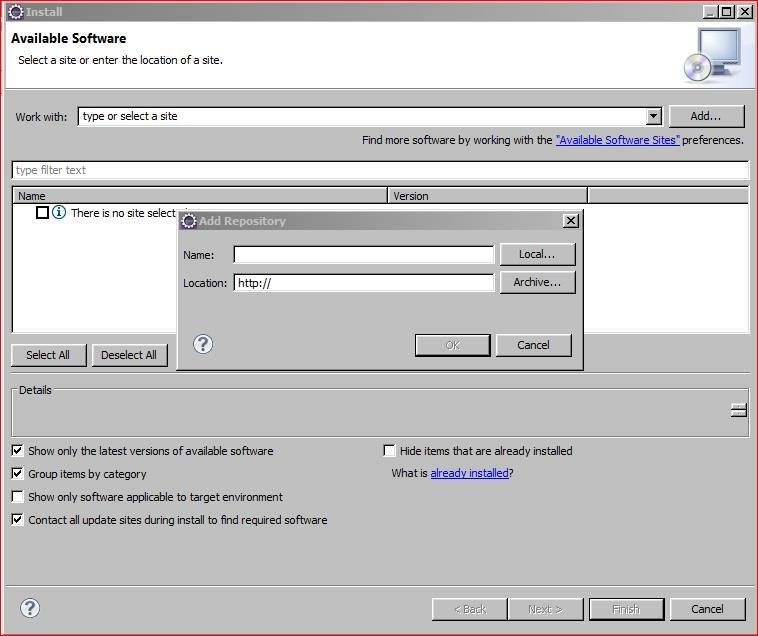 1) You can download SVN Connector by going to Window->Preferences->SVN->SVN Connector as well. 2) You can download SVN Connector by going to Help-> Install New Software...->Get latest and compatible(with Subversive and OS) Url from https://www.polarion.com/products/svn/subversive/download and enter in Work With box and click add and then procedd with installation just like you did for subversive above. 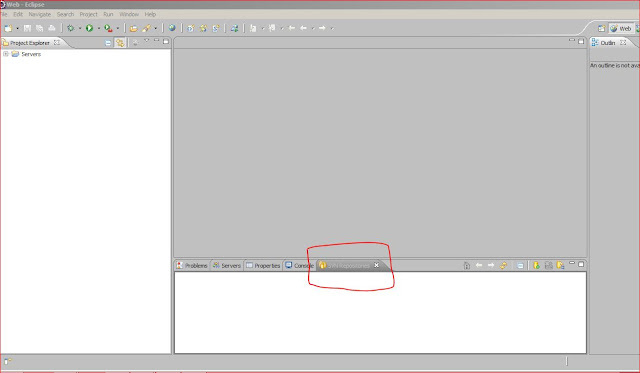 That's all.With this we saw that how we can add SVN plugin in eclipse. If you have any suggestion to add something more to this post,please post in comments section.